Combining expertise with modernism, we are engaged in offering a broad array of Chain Pulley Block that comes with. 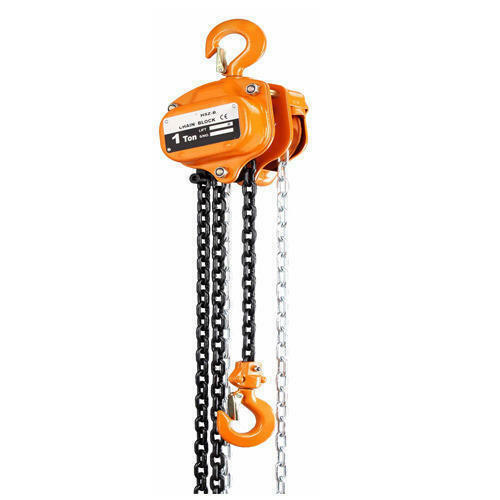 ANAND INDUSTRIES since 2017 is instrumental in Manufacturing, Supplying, Trading and Service Providing of Wire Rope, Wire Rope Slings, Steel Chain, Wire Chain Slings, Chain Pulley Block, Lifting Tackle and many more. All the products are having high durability, reliable, dimensionally accurate, and easy to fit, having compact size, extended life, precisely engineered, high efficiency, fine finish, in customized sizes with consistent performance and cost efficacy which are precisely tested and made of optimum grade materials. We offer all our products at most affordable prices.